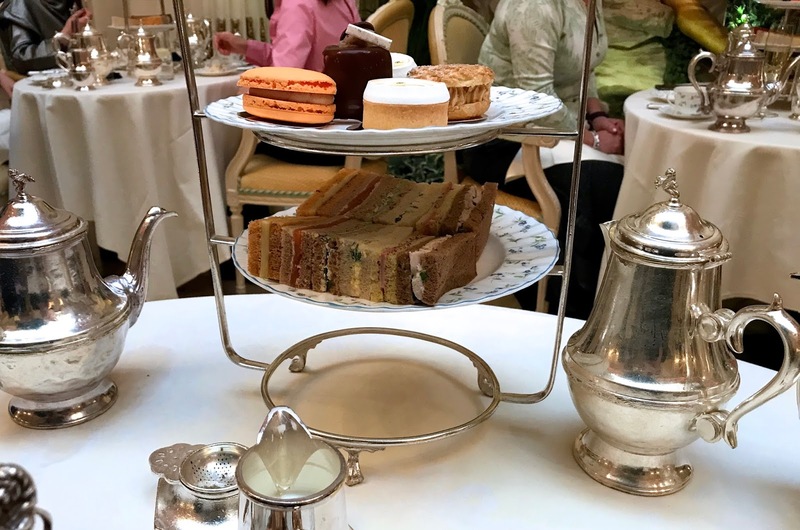 A few weeks ago I finally cashed in on the gift certificate someone had given to my husband and I for our birthdays last year for Traditional Afternoon Tea at The Ritz here in London. 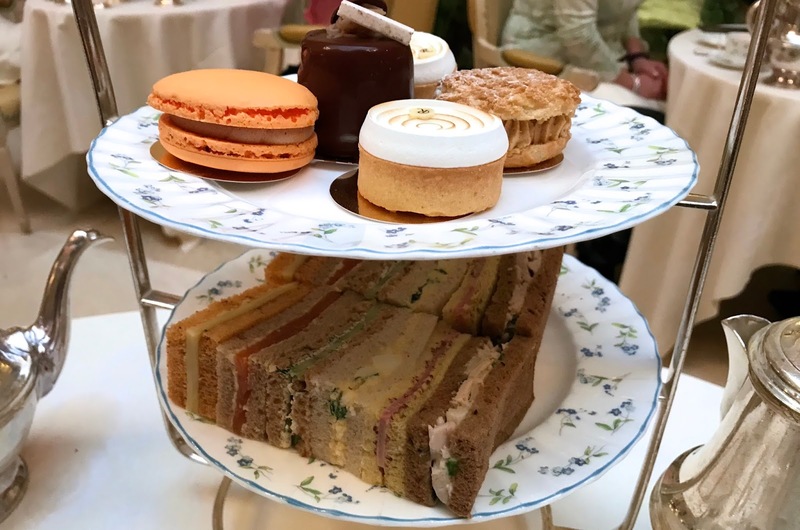 While there are a few experiences I've enjoyed, I'm not always the biggest fan of afternoon tea - I generally consider it to be too touristy and stuffy for my taste (not to mention expensive), but I was pleasantly surprised by this ritual at The Ritz. Everything was amazing and as one might expect from such a prestigious hotel, no detail was left unattended. 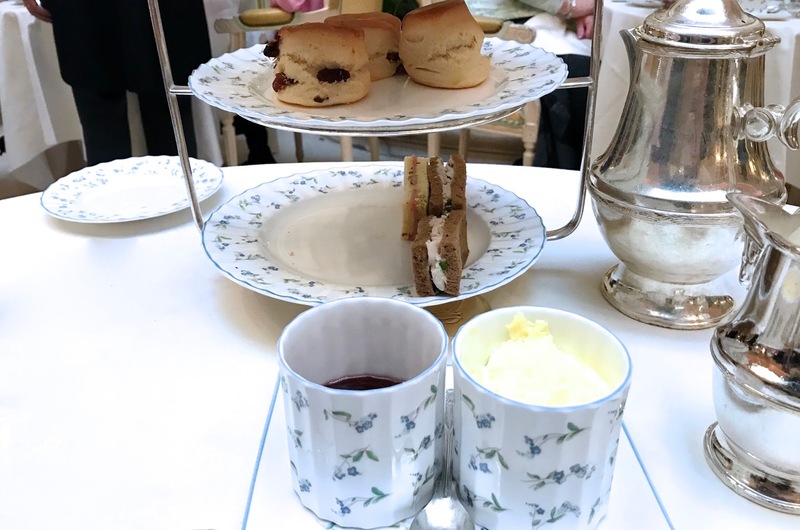 The whole experience from the charming staff to the beautiful, delicate china and silver tea service, was impressive beyond measure and whether you're a Londoner yourself or hope to visit sometime in the future, I recommend adding this delightful afternoon treat to your bucket list. It's hard to imagine to many places that are more beautiful or elegant than The Ritz. Chandeliers, elegant mirrors, fresh flowers and a pianist performing instrumental versions of hit songs (including several Disney classics I recognised) are just a few of the flourishes you can expect. It's just stunning inside this London gem and the Palm Court where the tea is served is everything you want it to be. The atmosphere alone is well worth the price tag, but there's so much more about this charming experience to boast about. 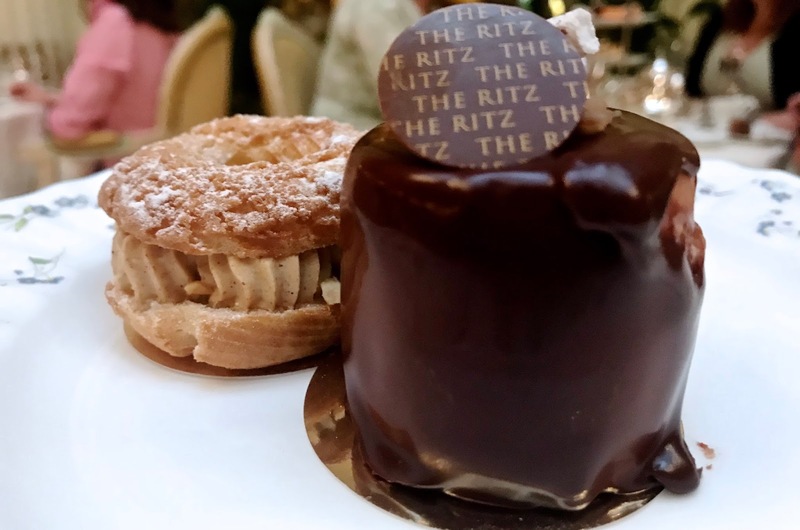 One of the things about afternoon tea that usually bugs me is the food, but this simply wasn't the case at The Ritz. The usual suspects are all present including tiny sandwiches, scones and pastries, but this time it was delicious! So many teas I've attended offered beautifully presented food that simply didn't taste as good as it looked. For the first time ever, the sandwiches were my favourite part. Something simple like smoked salmon with lemon butter or ham & mustard was taken to a whole new delicious level and to be honest, I'm still craving them. The scones were delicious, the Scottish clotted cream indulgent and the pastries delightful. We left with very full tummies! There are even cakes that come around on a trolly during the tea if you have room to fit in a slice... 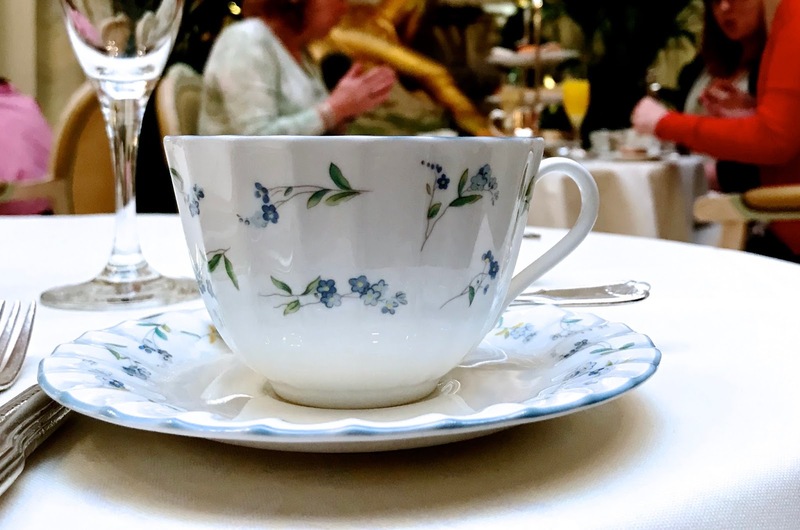 Honestly I couldn't - it seems that it would be impossible to leave tea at The Ritz hungry. I suppose it's a bit rebellious, but one of the things I loved most was that I could order coffee. I know - who orders coffee at afternoon tea, but I was tired, sleepy and desperately in need of a caffeine jolt. I'm also not that big of a tea drinker. I like tea, but if there's coffee I'll almost always choose that. The waiter brought a pot of coffee for me and it was delicious like everything else... 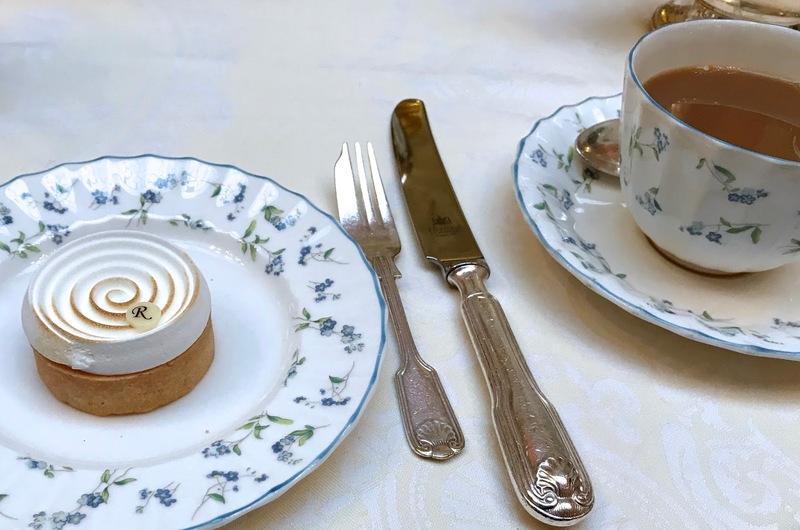 If you're attending the Traditional Afternoon Tea at The Ritz, keep an eye out at the bottom of the menu where you'll see filter coffee available upon request and if a cuppa Joe is what you fancy, you won't be disappointed. 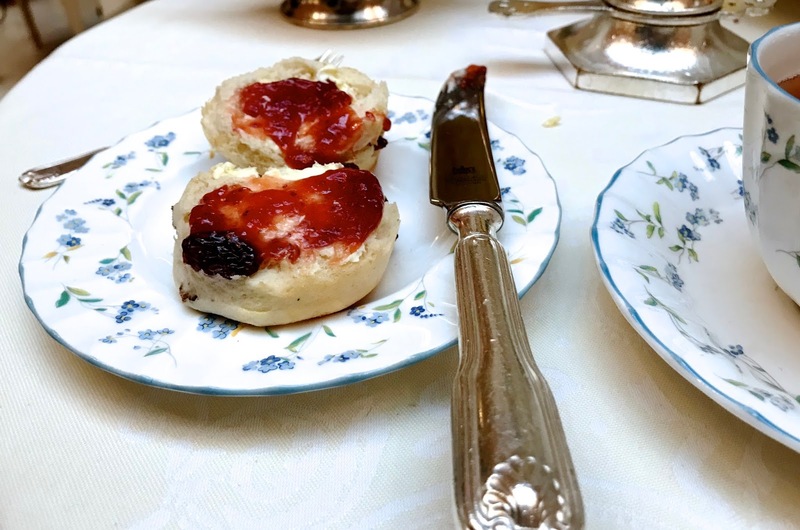 There are several options to choose from including a champagne afternoon tea and celebration teas for birthdays and the like, so whatever you're reason for indulging in this classic British tradition, there's something to suit your taste. 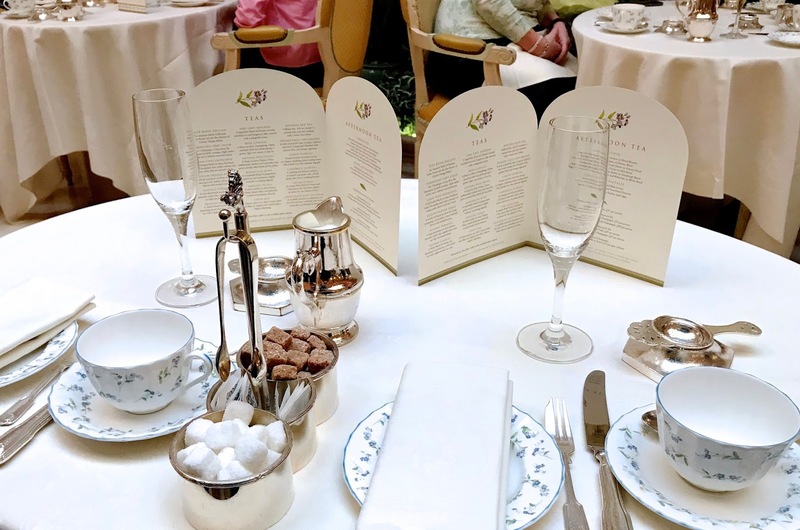 Tea at The Ritz starts at £57 per person or £35 for children depending on which experience you choose and you must book in advance. Upon arrival, the staff are so friendly and appear as though they've been expecting you. It's endearing really and if the weather is cold, you'll be directed to the coat check which is conveniently right next to the loos. While you're there, it's worth taking a moment to freshen up it what I can honestly say is the nicest ladies room I've ever seen. Pretty-in-pink and decorated with fresh orchids, you'll want to snap a selfie in any of the several full-length mirrors. Once you've checked your coat, head to the Palm Court where you'll be seated at your table. Check out the menu to decide which flavour of tea (there are 18 varieties to choose from chosen by the in-house Tea Sommelier) or coffee you'd like and be prepared to be wowed. The sandwiches and pastries will come out first and the scones will come a bit later. The music, the atmosphere and the delightful servers are all so pleasant, it would be difficult not to enjoy yourself. It's important to note that there is a dress code for tea at The Ritz. Men are required to wear jackets and ties. Sportswear or jeans are not permitted for either men or women. To be honest, while this might sound a little stuffy, it adds a sense of occasion and once you get there, you'll want to be a little dressed up. Nice trousers or a simple dress would be fine, but don't be surprised if you see other people wearing their finest beaded full skirt midi dresses. The song isn't called Puttin on the Ritz for no reason, so put on your glad rags. There are five seatings daily for afternoon tea at 11:30am, 1:30pm, 3:30pm, 5:30pm and 7:30pm. You will be given the time they require your table back and these sittings are set, so plan accordingly. We went at 11:30am and our table needed to be free by 1:15pm, but honestly we didn't stay that long. We left around 12:45pm and that was more than enough time. If you're having Champagne with your tea, that might take a little longer, so plan for that. 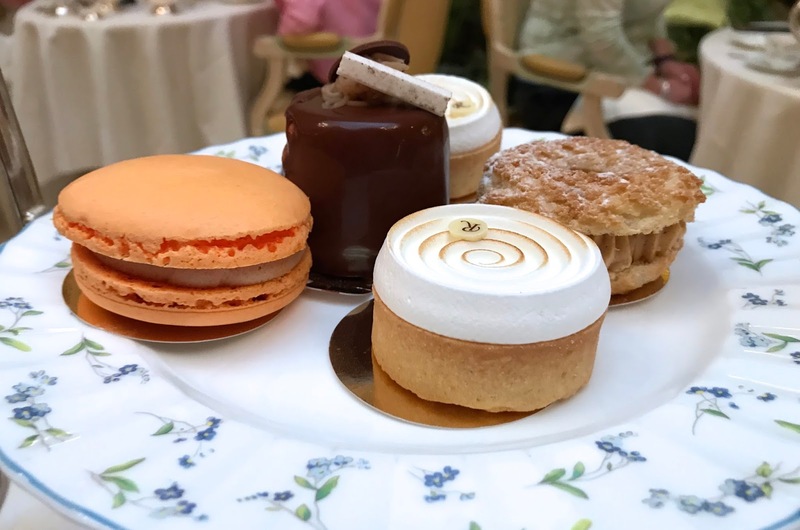 I very much enjoyed the Traditional Afternoon Tea at The Ritz. On a sunnier day, it would've been nice to spend some more time in the area, walking around Green Park and taking in some beautiful London scenery. Unfortunately it rained, but it didn't ruin our afternoon. Located on Piccadilly, The Ritz is easily accessible by public transportation and located just steps away from the Green Park Tube Station as well as a stop serviced by multiple busses. 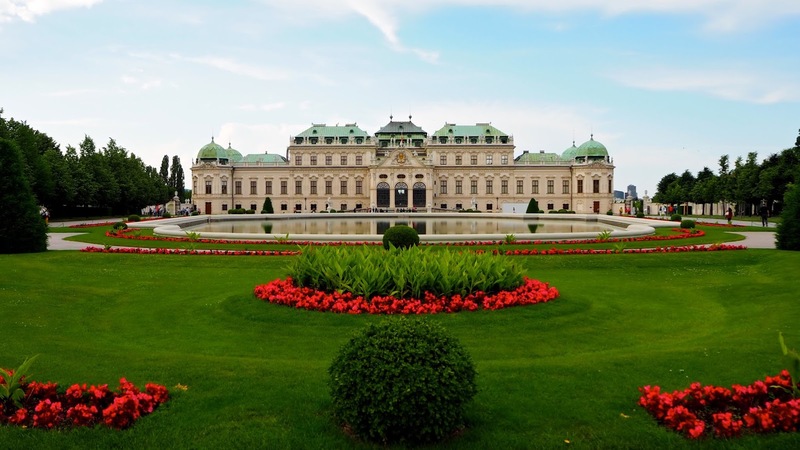 For more information or to book, visit The Ritz website.